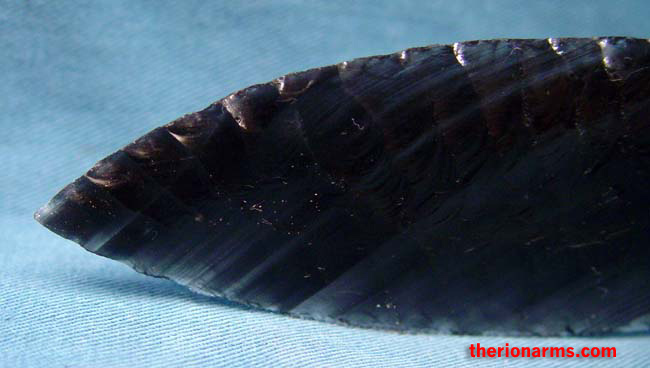 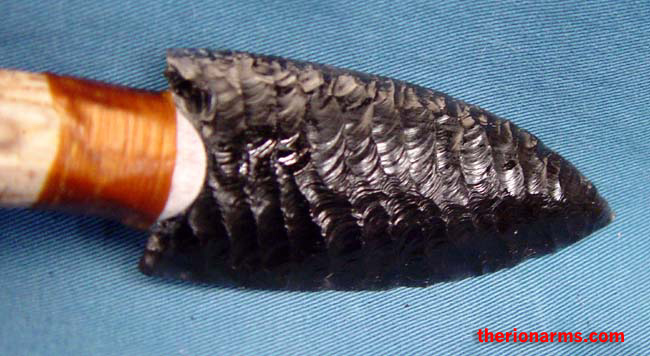 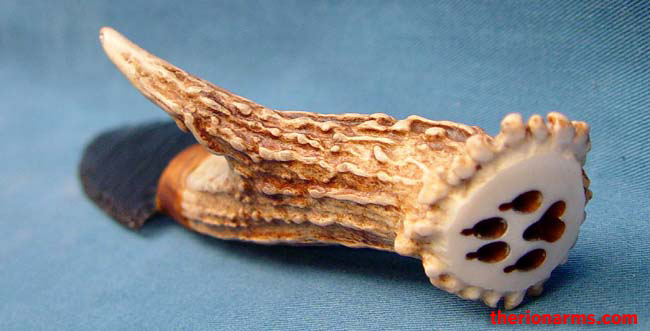 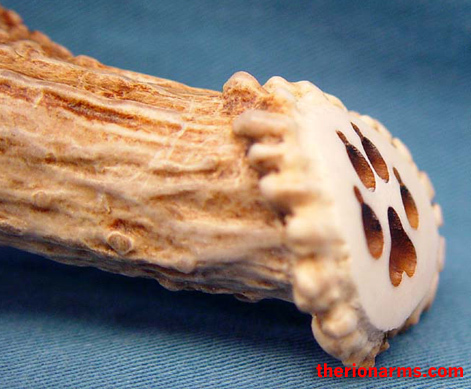 An obsidian dagger with a deer antler grip. 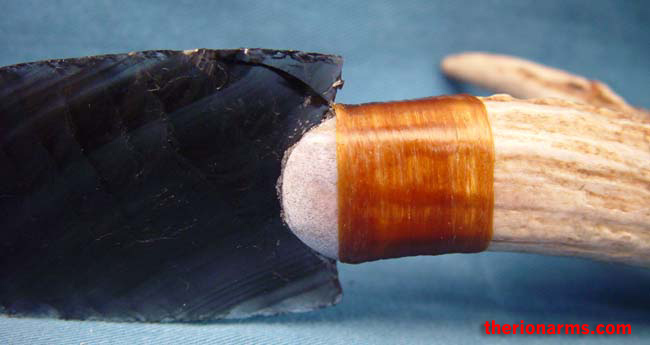 The blade is handmade using traditional methods: percussion and pressure flaking, and is attached to the grip with sinew. 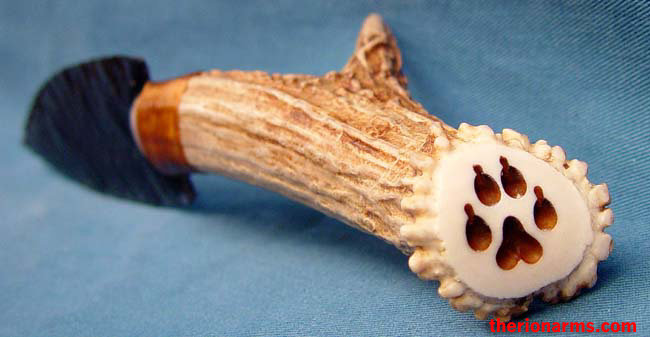 Display stand included.